Apart from Savannah's twenty-four squares, courtyards are considered the secondary sacred spaces of downtown. Rental homes that include courtyard access are a mixture of garden apartments and larger, multi-family homes. Take advantage of these private outdoor living areas and sit a spell - glass of sweet tea encouraged. This ground-floor cottage shares a beautiful courtyard and is the perfect size for two. 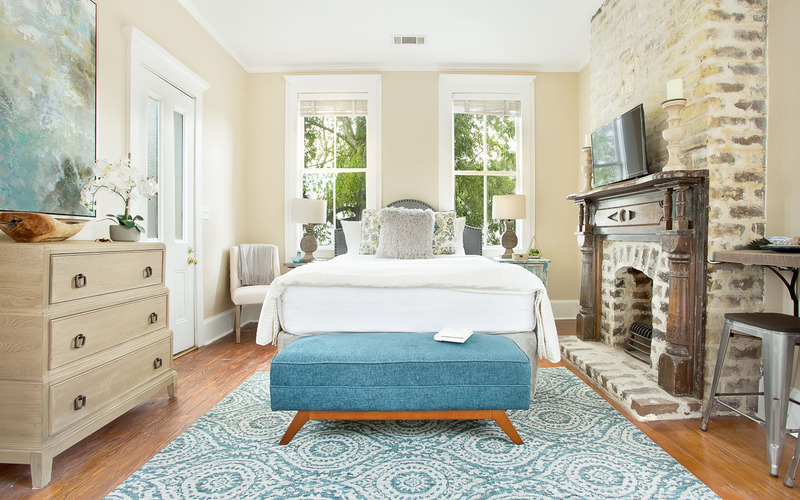 Located at East Broughton and Houston, guests are a short walk away from the center of historic downtown Savannah. Enjoy the privacy of this upper-level studio apartment with full kitchen and balcony. 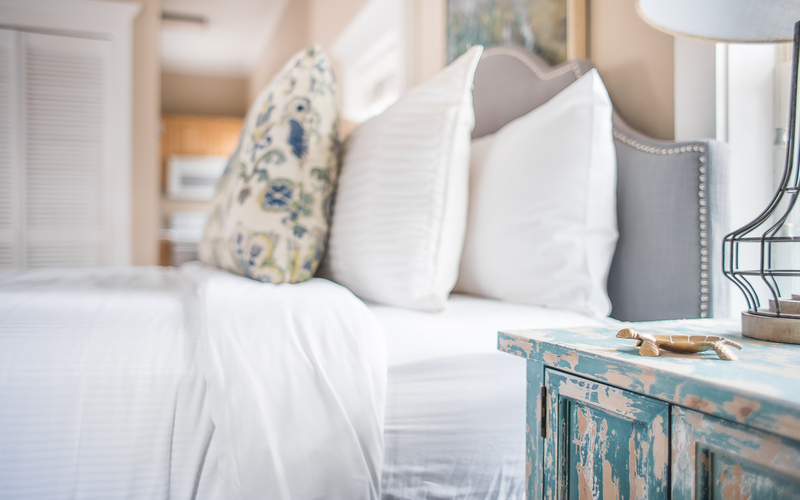 Located at East Broughton and Houston, guests are a short walk away from the center of historic downtown Savannah. 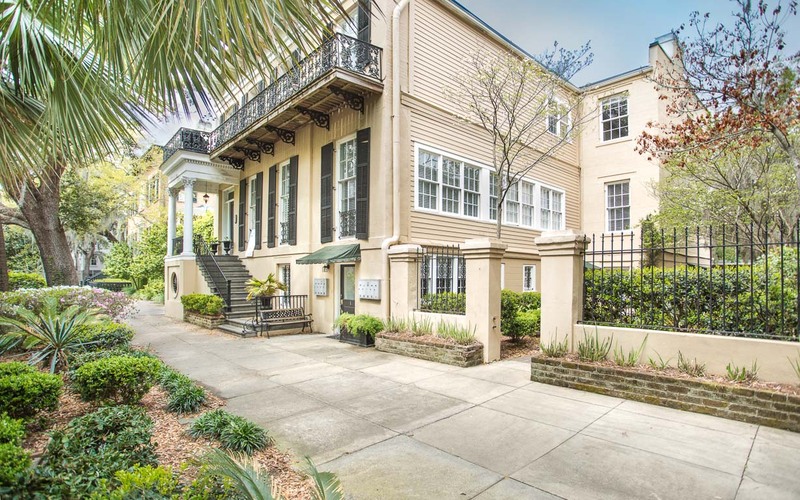 This beautiful first floor townhome has everything you'll need to feel like a true Savannah local. This home features a remodeled kitchen, historic architectural details, and front door access to our city's most beautiful park. This one bedroom, one bathroom garden apartment is located on York Street and just across from Oglethorpe Square. Located on the ground level of a Historic home, guests love being in the heart of the Historic District. This beautifully updated 1 bedroom home has a comfortable back porch, and all the amenities you need for a short stay or an extended vacation. 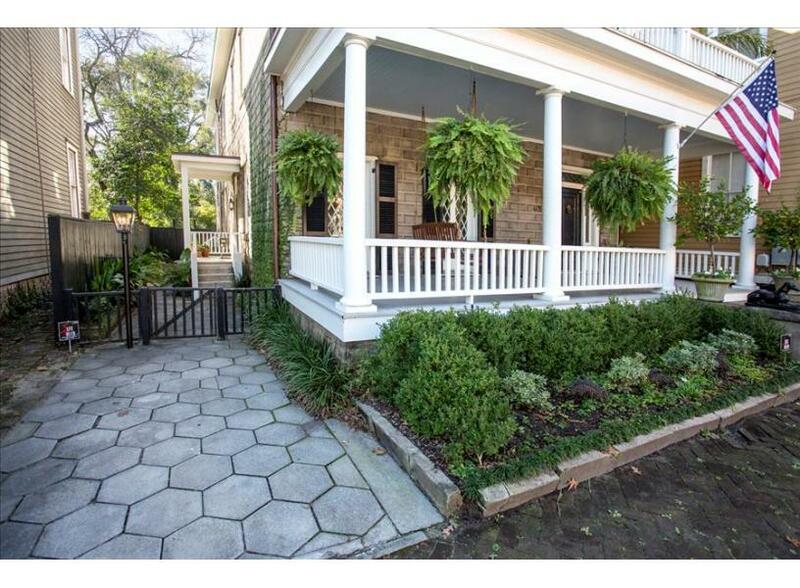 This home features original hardwood floors, a huge bathroom with shower, and an amazing designer kitchen. 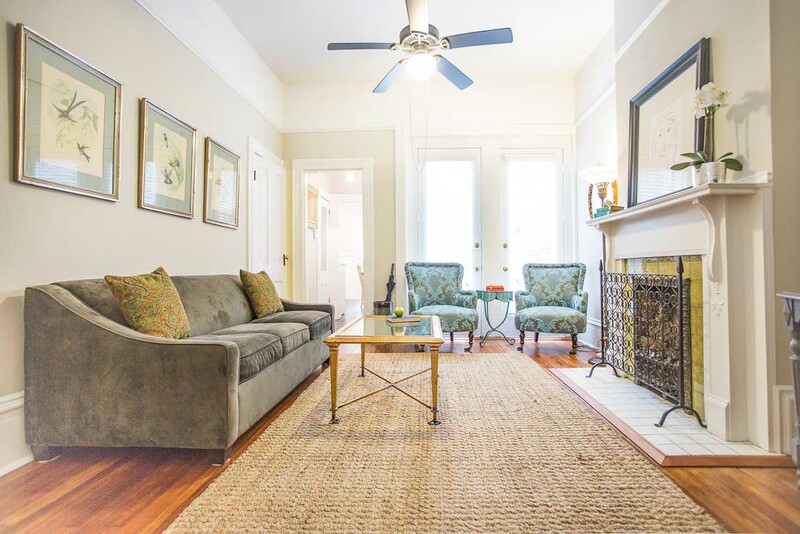 This bright and sunny garden apartment with spacious courtyard is just a few blocks away from the Fountain at Forsyth Park, and within walking distance to all of downtown's main attractions. 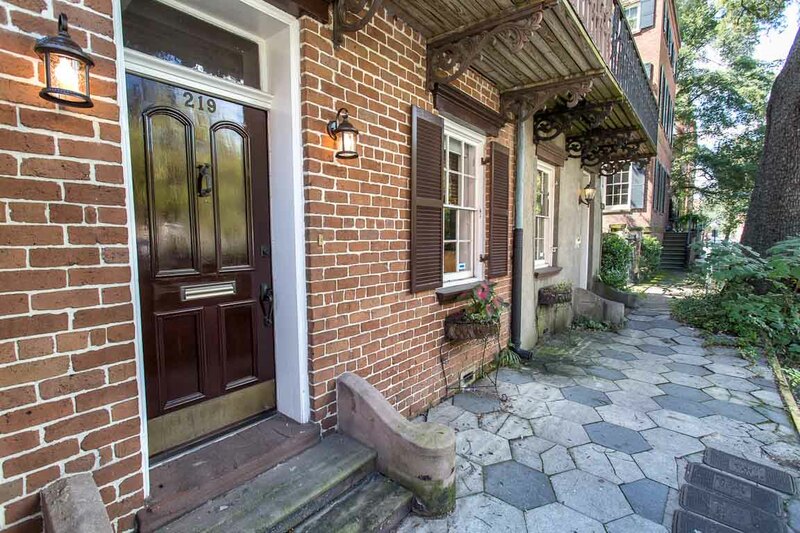 On the 200 East block of Jones Street, this historic one bedroom home is steps away from everything including the legendary Clary's Restaurant. With a garden beside the home, to unwind after a busy day on the town. 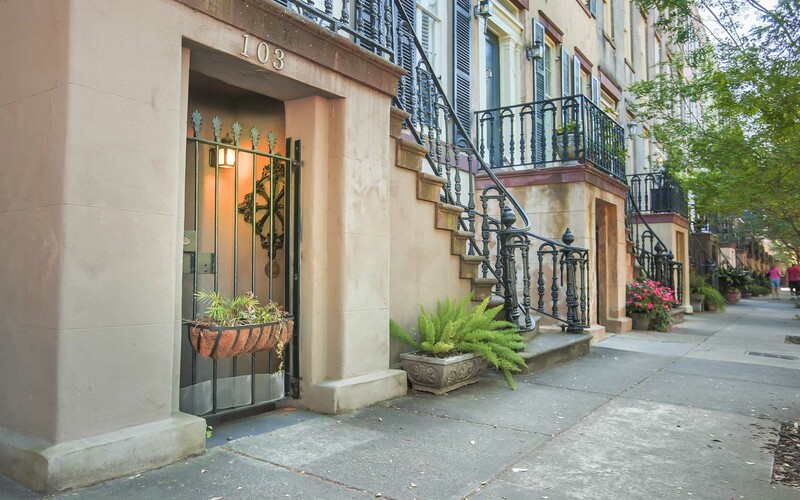 Amazing Historic garden apartment, located right on Washington Square close to River Street. 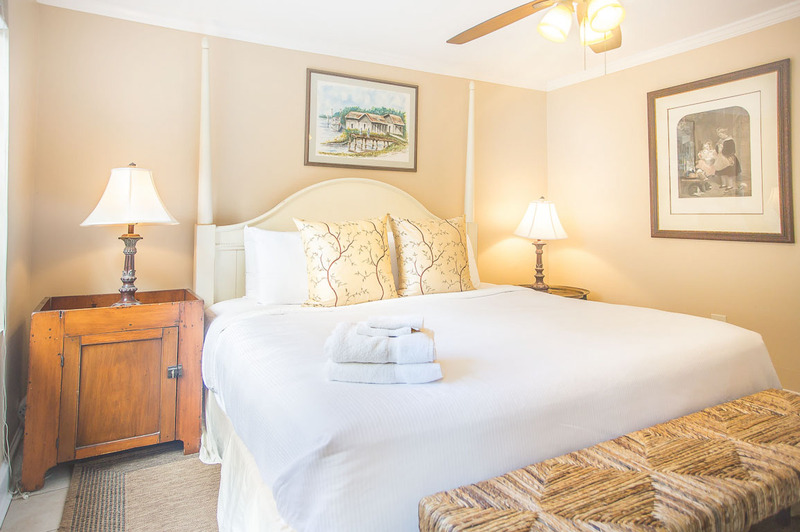 Original hardwood floors, brick walls, and a beautiful garden courtyard are a few of the highlights that make it perfect for a authentic Savannah vacation.